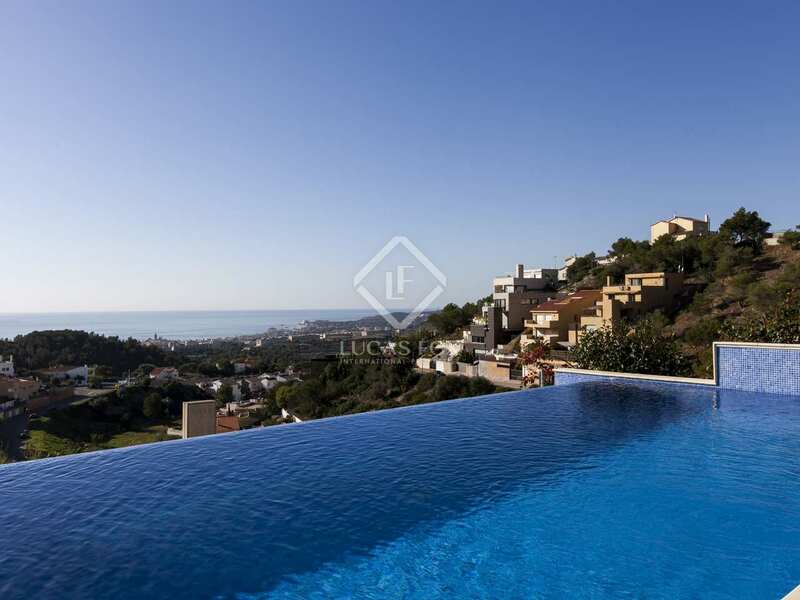 4-bedroom modern villa with spectacular sea views and an infinity pool for sale in Quint Mar, Sitges. 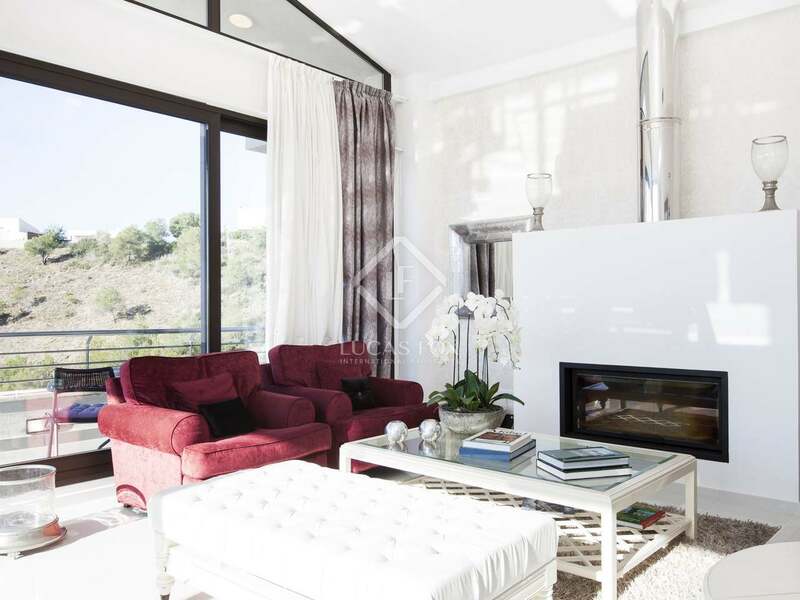 Built in 2013, this spacious modern villa enjoys a peaceful location with sensational sea views in the highly sought-after Quint Mar residential area, just minutes from Sitges, the train station and the beach. 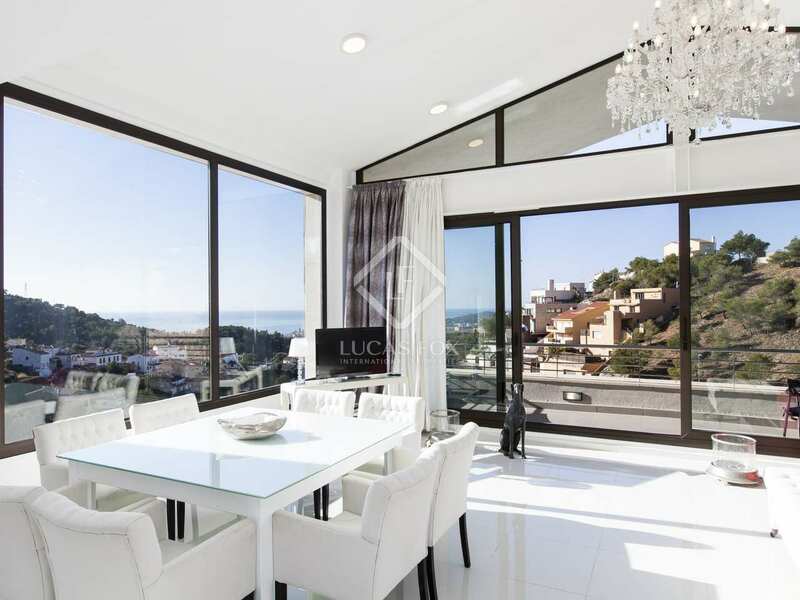 The property boasts a pleasant low-maintenance garden and an incredible infinity pool which looks out over the Mediterranean Sea from its south-facing position. 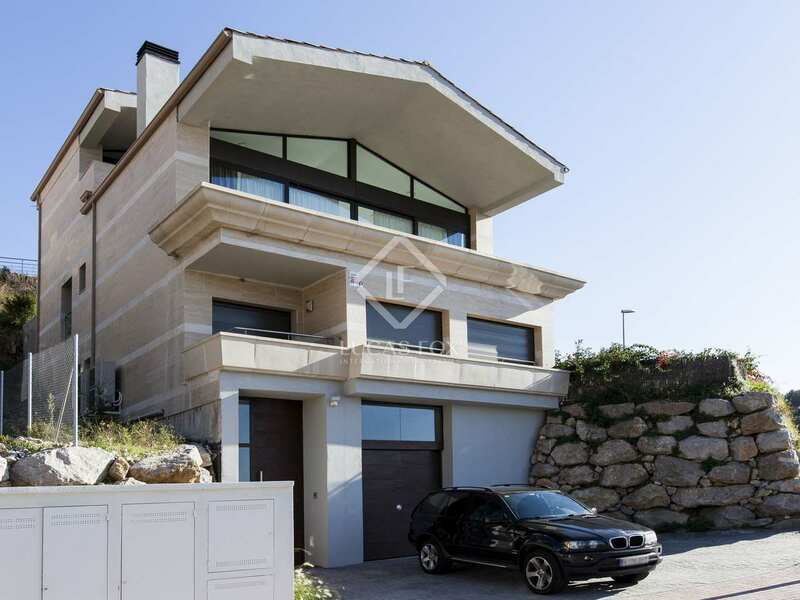 There are several terraces surrounding the house and parking spaces are provided in front of the villa with entrance to the 2-car garage. 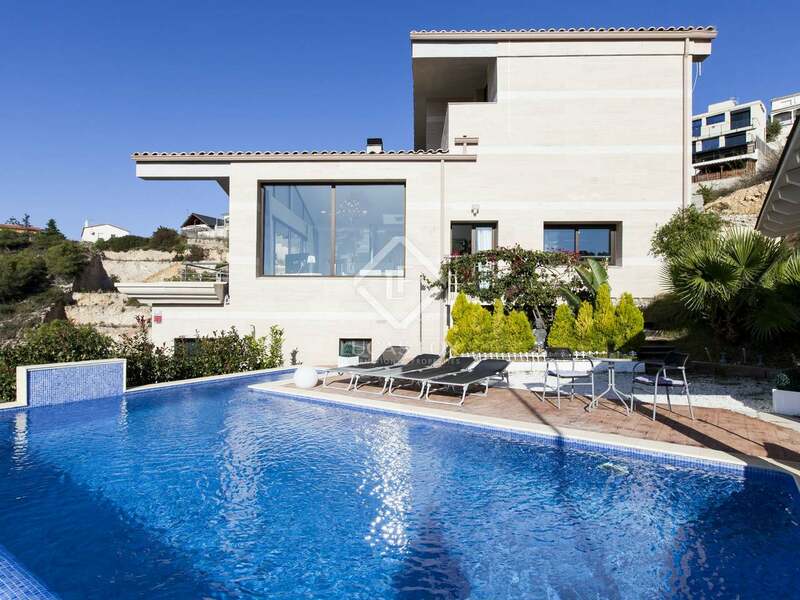 The villa itself is spread over 3 floors plus the entrance level with the garage on the lowest level. 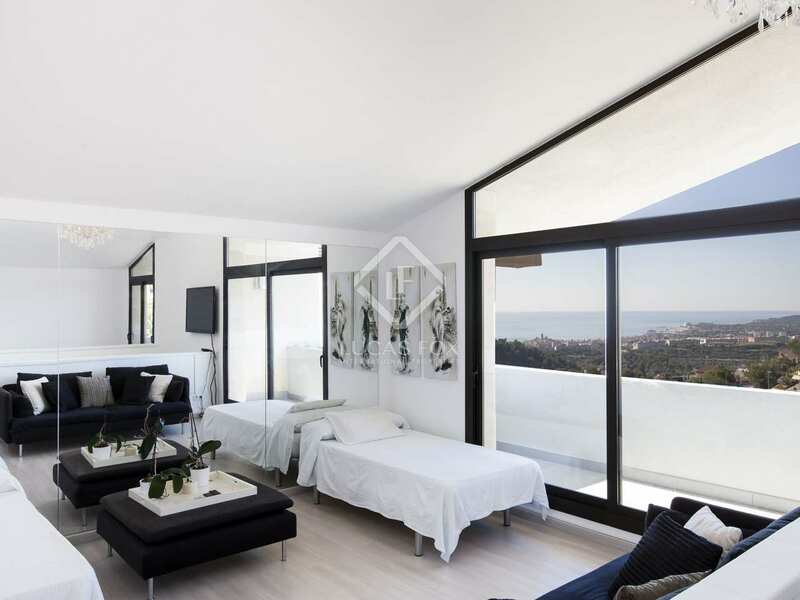 The floor above the garage accommodates the master bedroom with walk-in closet and bathroom en suite, with access to terrace and the infinity swimming pool. 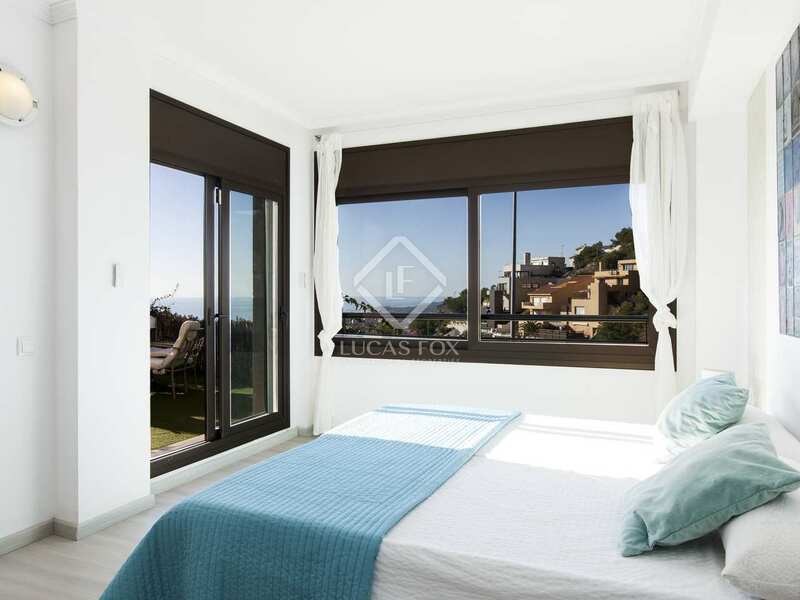 On this level we also find 2 further en-suite bedrooms with access to the terrace. 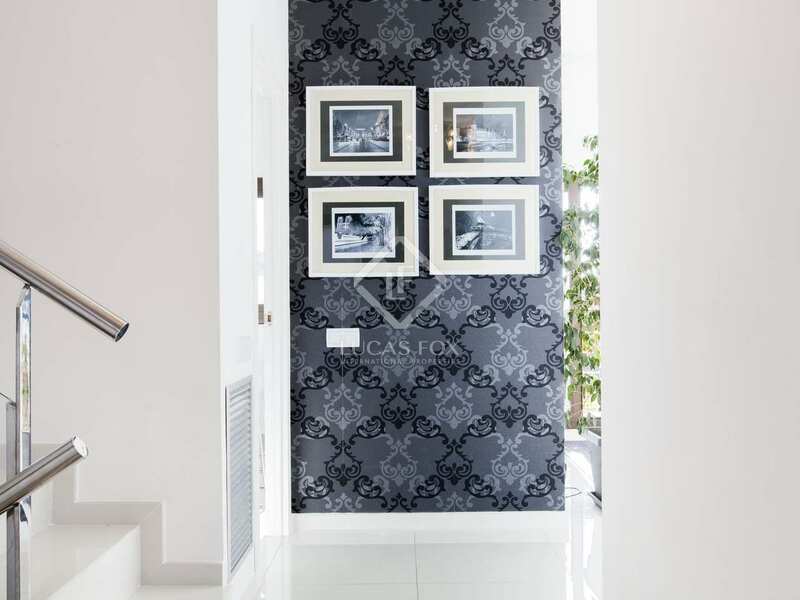 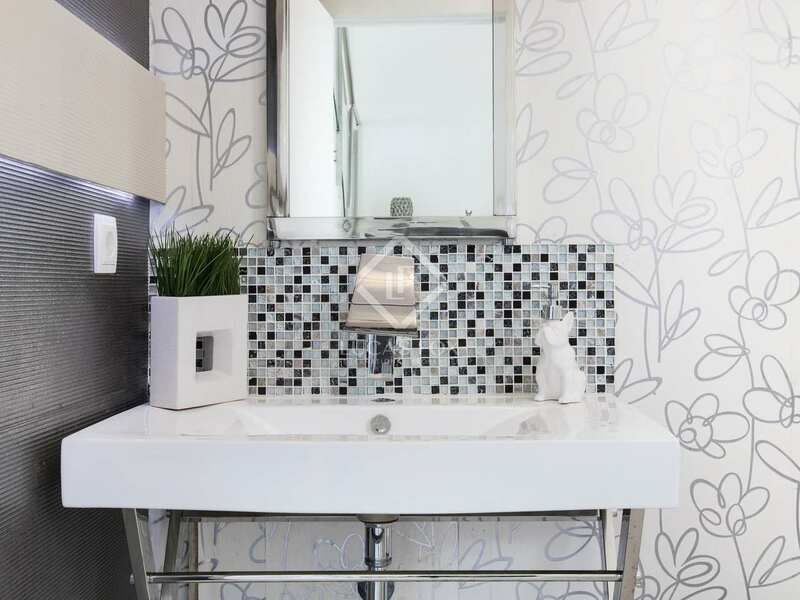 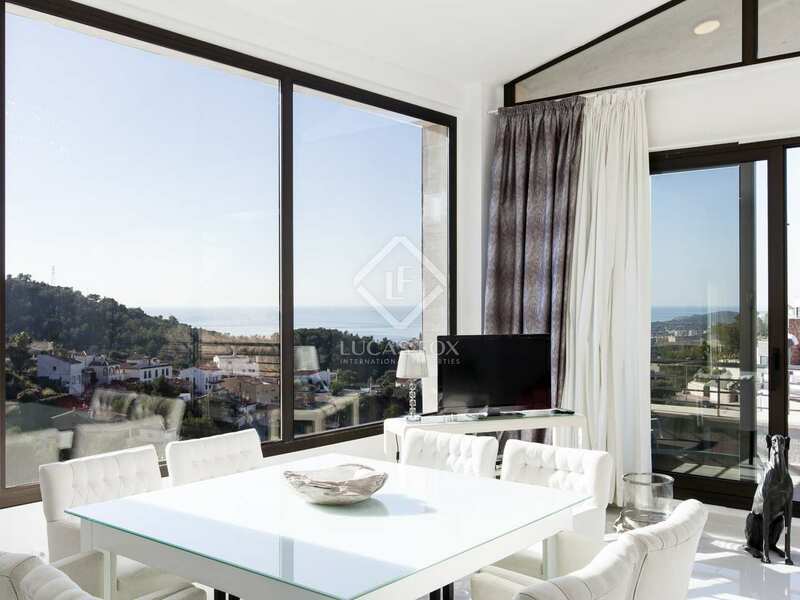 The main living areas are found on the second floor and comprise a large living - dining room with access to a terrace, a fully equipped kitchen, an office space and a guest toilet. 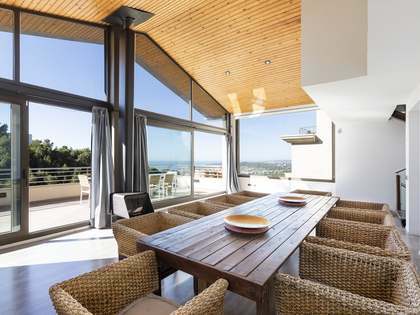 Due to the large windows, it offers a very light and bright living area. 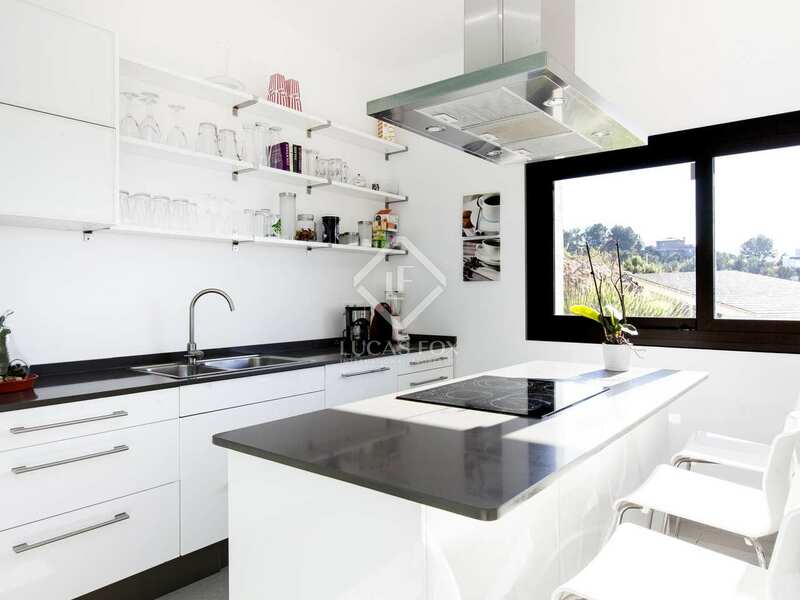 The garage could also be converted to provide additional living space if necessary. 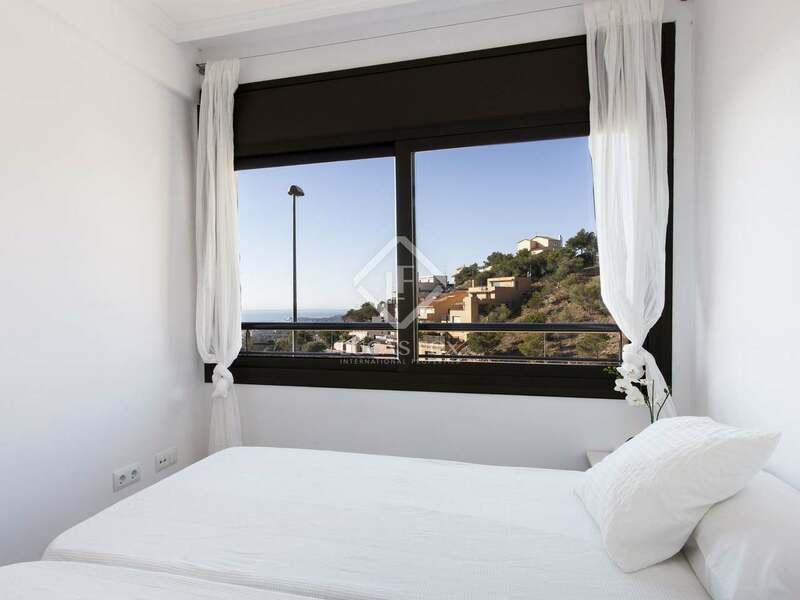 The third and final floor offers a large open space, currently used as a fourth bedroom with access to a large terrace with sea views. 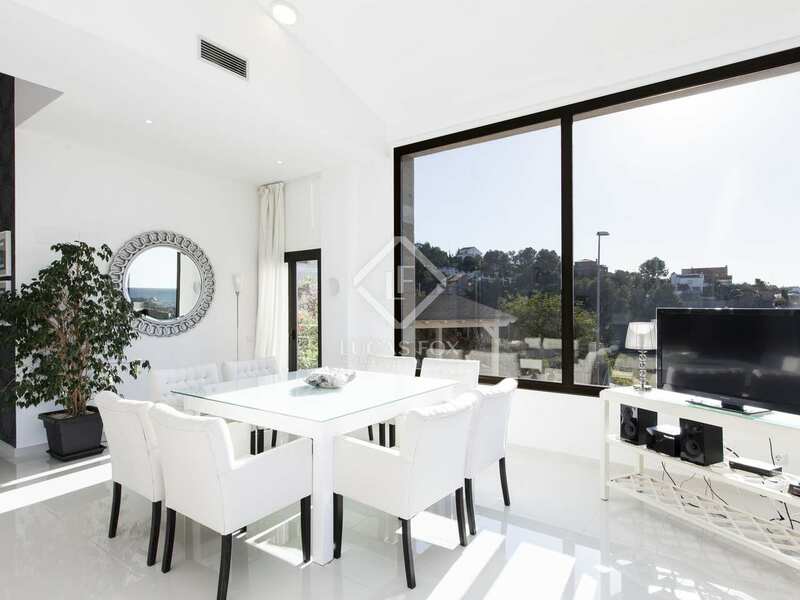 This stunning, modern property would be perfect for families wanting a peaceful environment, close to the beach and amenities of Sitges. 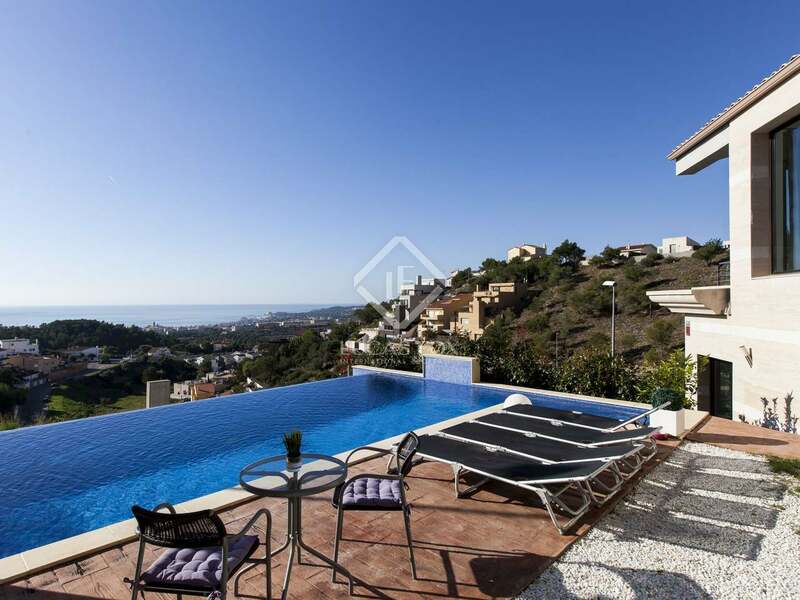 Ideal as both a primary residence or holiday home with excellent potential rental yield. 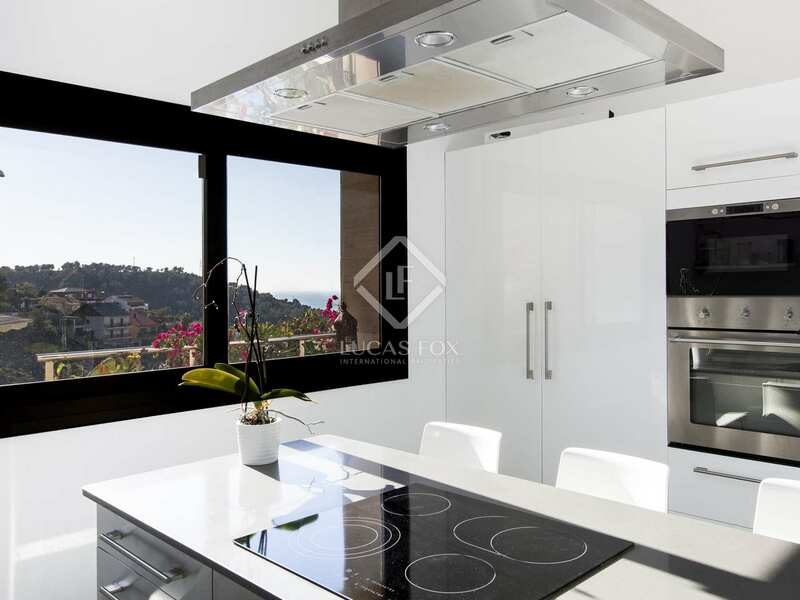 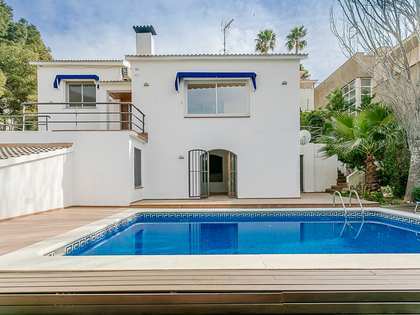 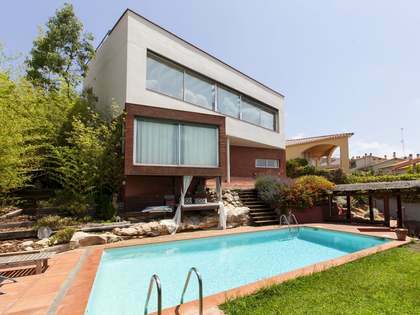 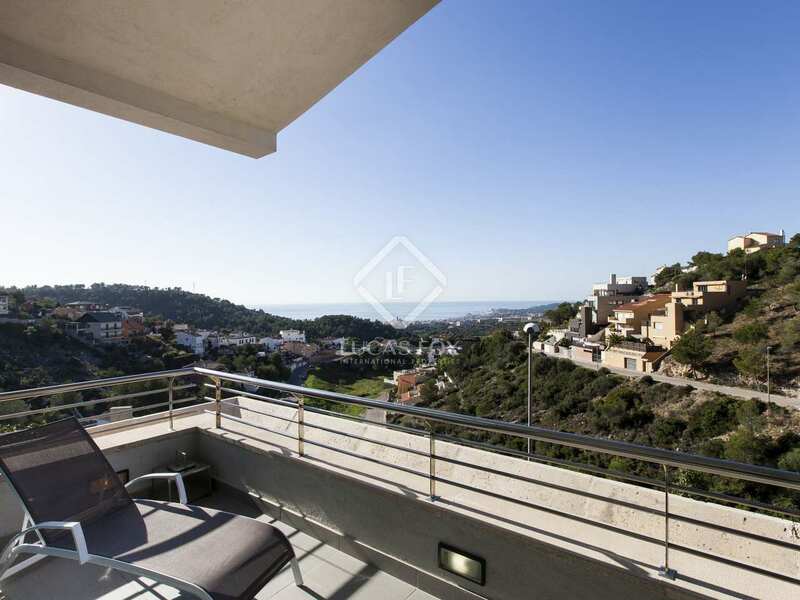 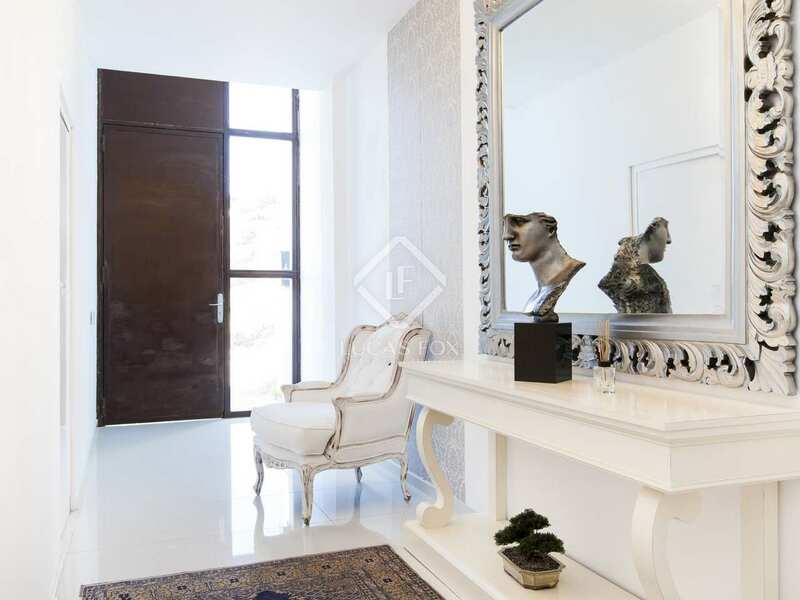 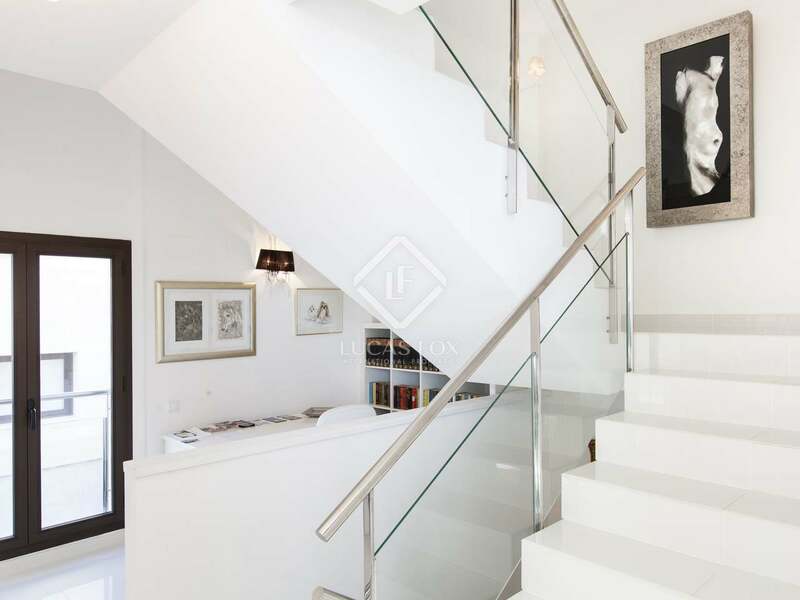 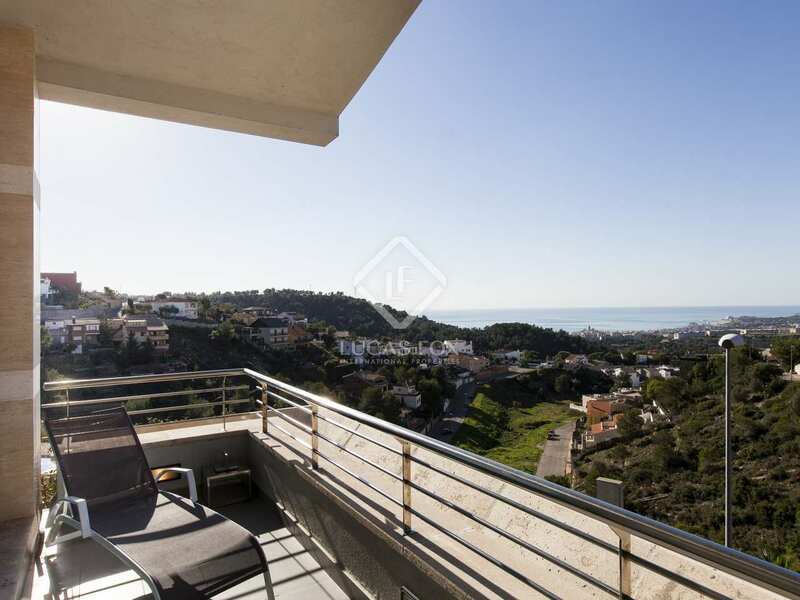 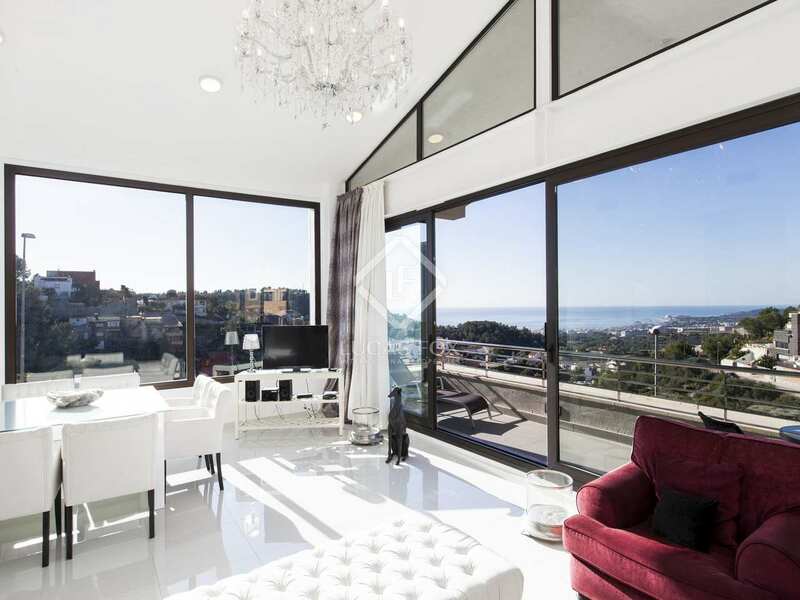 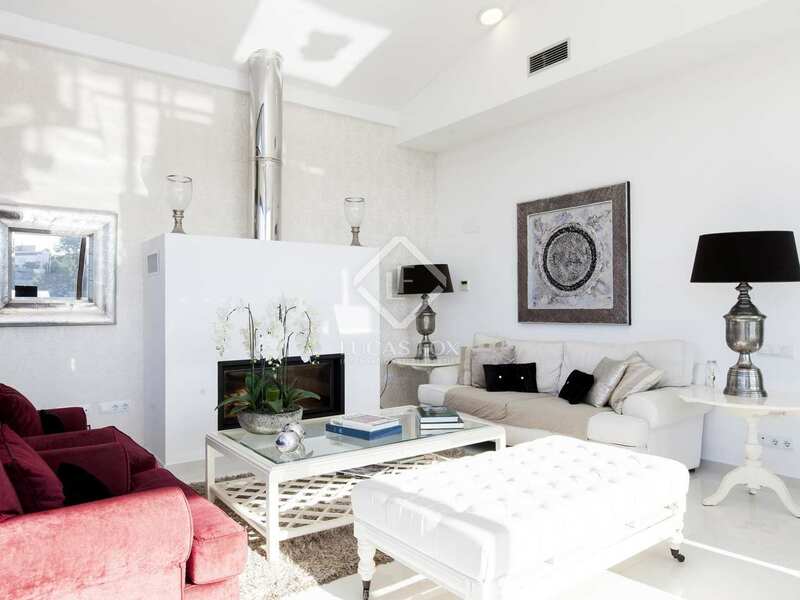 Situated centrally in the quiet residential area of Quint Mar in Sitges. 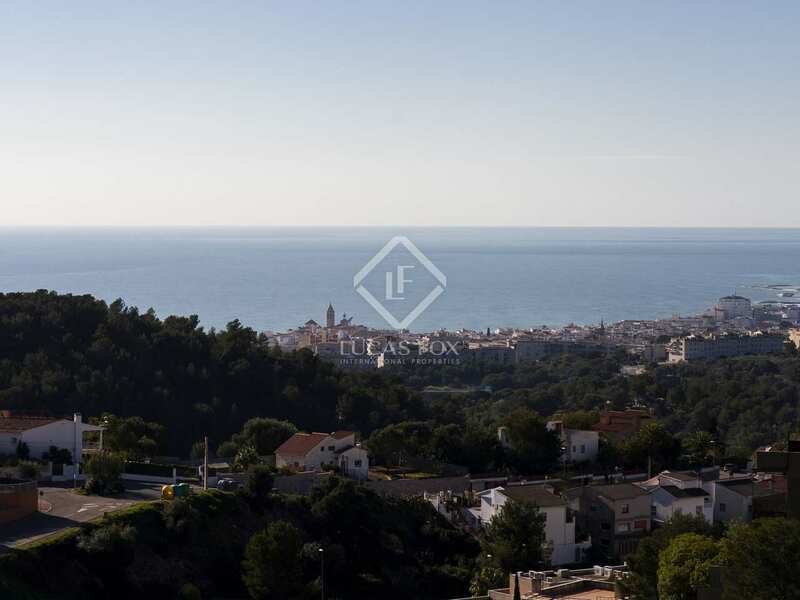 Distance to the centre of Sitges and train station appoximately 3km. 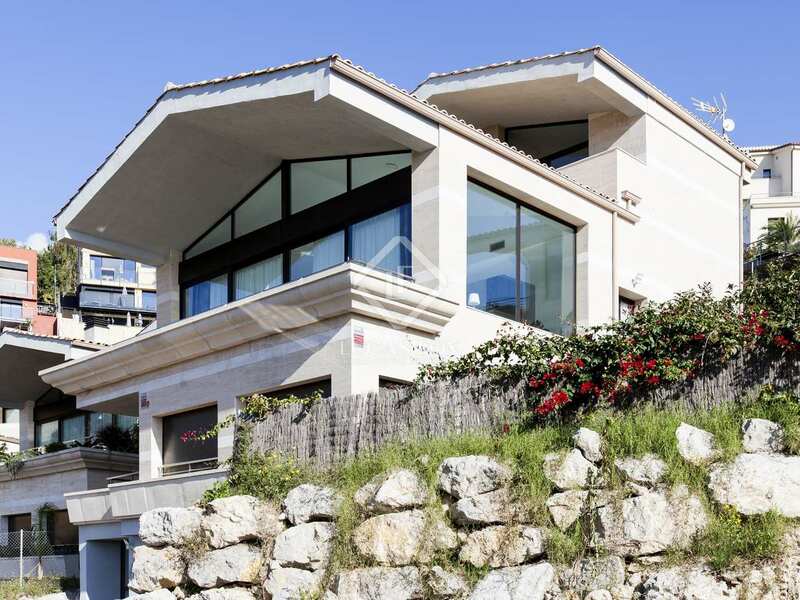 Beach and harbour a 5-minute drive away.